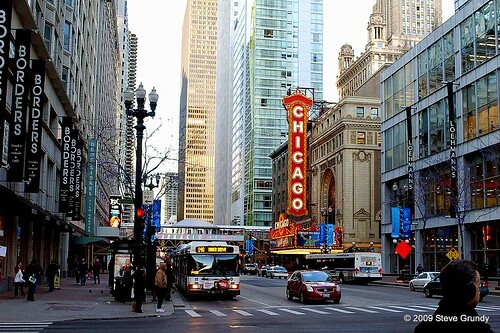 Whether you're in town for the world-famous Lollapalooza or permanently work in one of the historical high-rises, there's plenty to do in the government, financial, theatre, and shopping districts of the famous Chicago Loop. Want to make the most of your time in the Loop? We've found the best restaurants, shopping districts, and outdoor areas so you'll get the essential Chicago Loop experience. The Chicago Riverwalk is one of the Loop's most beautiful public amenities. Whether you need a midday break from the hustle and bustle of the office or have an entire afternoon free, head to the Riverwalk for the best views of Chicago's architecture along the river. In addition to gorgeous views and amazing architecture, the Riverwalk also features attractions like cafes, boutiques, boat cruises and bike rentals. Time spent in Chicago isn't complete without a slice of deep-dish pizza – after all, it's what Chicago's known for! 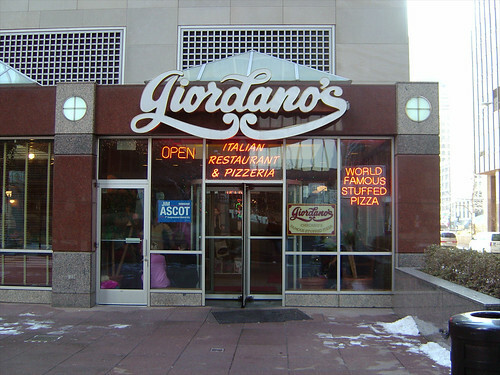 Founded in 1974, Giordano's Famous Stuffed Pizza is one of the few pizza companies that's credited with pioneering Chicago's international recognition for perfecting the deep-dish pizza pie. The joint has been acclaimed as “Chicago's Best Pizza” by NBC, New York Times, and the Chicago Tribune, among others. Come with an appetite and leave with a doggie bag! Affectionately referred to as Chicago's “front yard”, the park's most notable features are Millennium Park, Buckingham Fountain, and the Art Institute of Chicago. 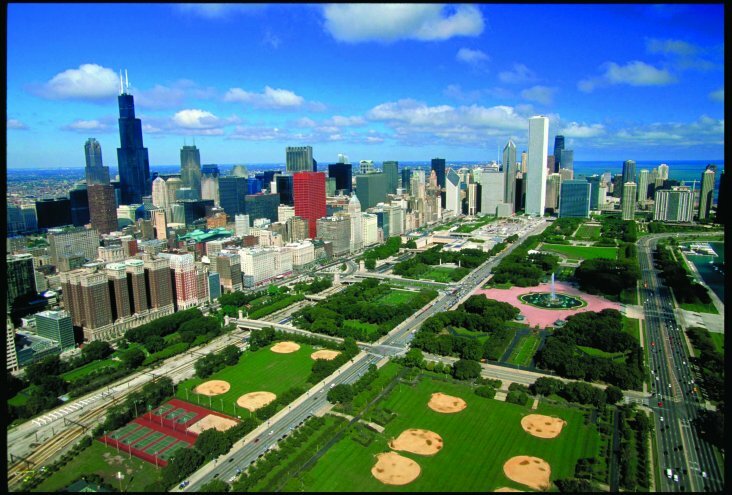 Named after Ulysses S. Grant, it was developed as one of Chicago's first parks and hosts several annual events, including Lollapalooza. If you feel like you need to reconnect with nature, head to Grant Park and enjoy the great outdoors. For the latest in fashion trends, clothing, shoes, accessories, clothing and cosmetics, treat yourself to a world-class retail experience in Chicago's original shopping district. From American Apparel and Nordstrom Rack to L'Occitane En Province to Sephora, there's something for everyone on State Street. For high-end shops head to Block 37 – a group of upscale retailers located within a five-story atrium. The Berghoff's doors opened in 1898 as a men-only saloon serving free corned beef sandwiches with the purchase of a stein of beer. Now, it's a full-service restaurant rich in German-American cuisine and culture. For a taste of Chicago history, head to Berghoff Restaurant – the menu includes classic German favorites and contemporary American cuisine. For those who love Oktoberfest, the Annual Berghoff Oktoberfest is Chicago's largest and longest-running Oktoberfest celebration.